Do you often need to quickly write something down? Maybe you need to record a telephone number when the phone book is far away, write a TODO list, save a URL to reuse later, there are lots of examples. And lots of solutions: open Notepad, use a personal information manager (e.g. 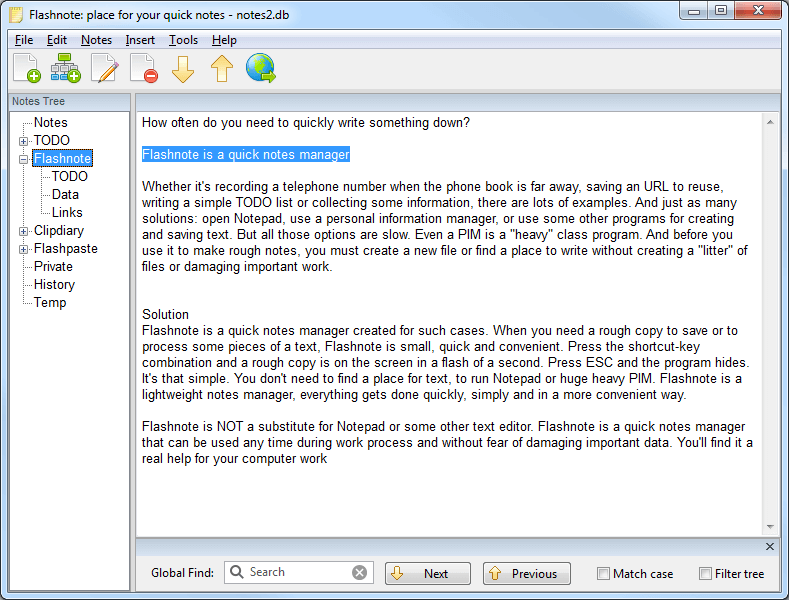 My Notes Center), or use some other programs for creating and saving text. But all those methods are slow. Even a PIM is a "heavy" class program. Version 4.7 Added: Database encryption support (AES-256). Added: Customizable toolbar size. Improved: A lots of small corrections and improvements.